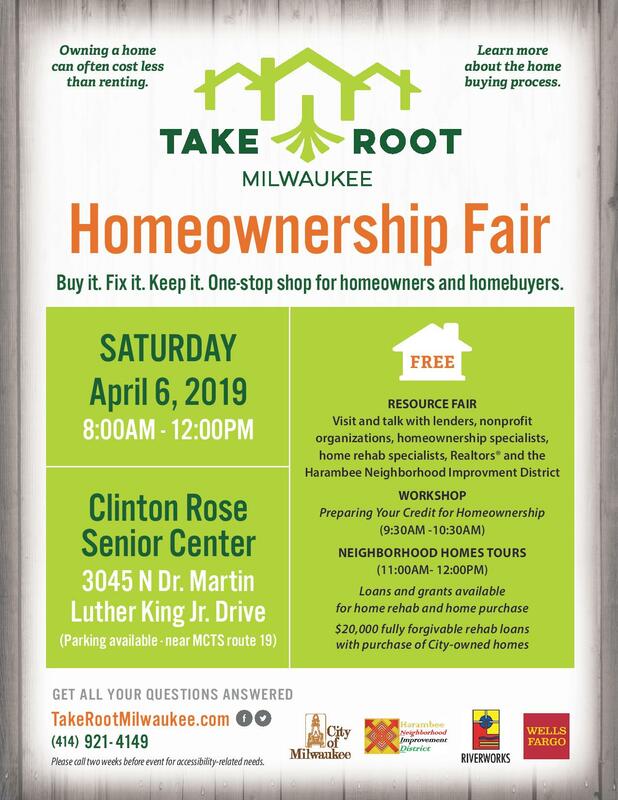 Join Take Root Milwaukee on Saturday, April 6th (8am-Noon) at Clinton Rose Senior Center (3045 N Dr Martin Luther King Jr Dr) to learn all about the home buying process! You will be connected to over 20 trusted resources in the Milwaukee area that can help you start or continue on the path to owning your own home. There is parking available, enter on Dr. Martin Luther King Jr. Drive.